So, no one told you Avengers: Infinity War was gonna end this way? Spoilers ahead—you have been warned. The film follows villain ‘Thanos’ on his quest to acquiring all six infinity stones. Had he possessed ‘Deadpool’s power of breaking the fourth wall and entered the sitcom universe, however, he would have hit his goal in a jiffy. Apparently, the internet has discovered that the infinity stones were “hiding” in one of the most viewed scenes ever. Hint: it’s a snippet of a show many turn to when they’re down, hit with bouts of nostalgia, or just need a good laugh. 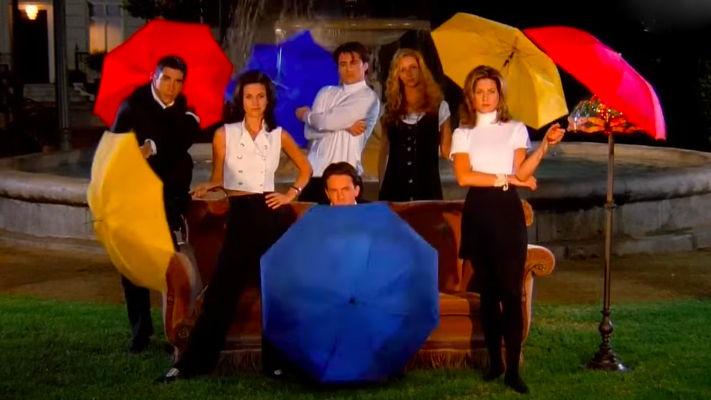 Twitter user Ben Rosen recently shared a screenshot of the Friends title, and there they are—six dots in the exact colors of the stones: red, blue, orange, green, and purple. Thankfully, ‘Thanos’ doesn’t watch Friends, or fans would not have been blessed with the gem that is this two-hour movie.